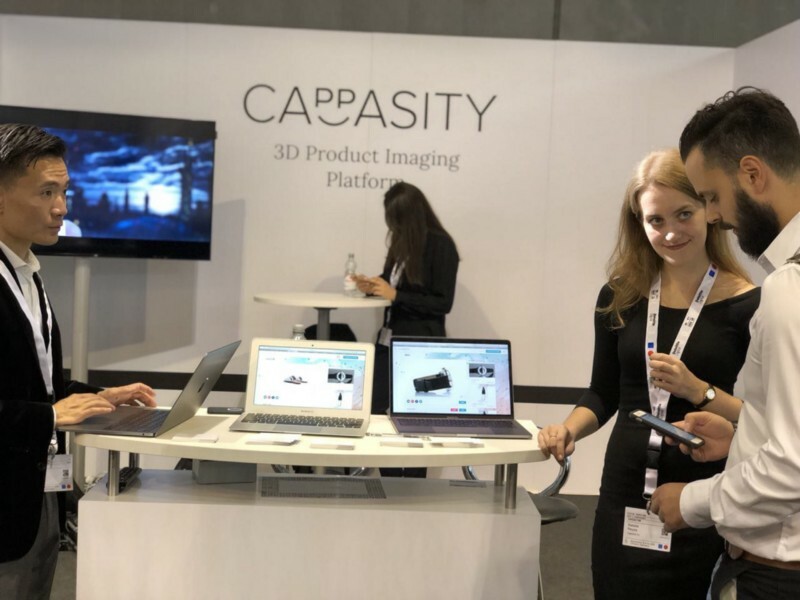 Explaining how 3D product images can be easily created and embedded into websites and AR/VR applications, they demonstrated Cappasity’s 3D analytic tool in action and provided the details into how it helps retailers to understand potential customer behavior and preferences. 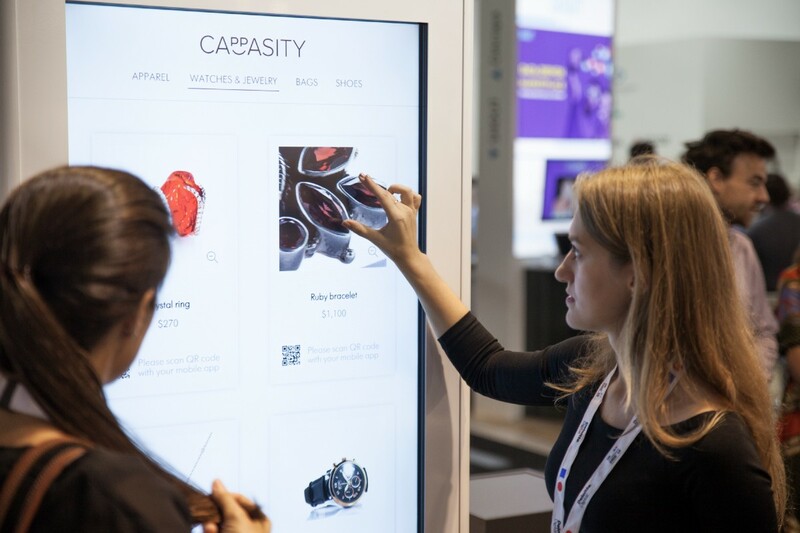 “Let’s say that 100,000 customers spent twice as much time studying the back of a certain dress than they did the front and they zoomed in to see the stitching, — to insight-savvy marketing team this piece of information could prove decisive” — says Kosta Popov, Cappasity’s CEO. 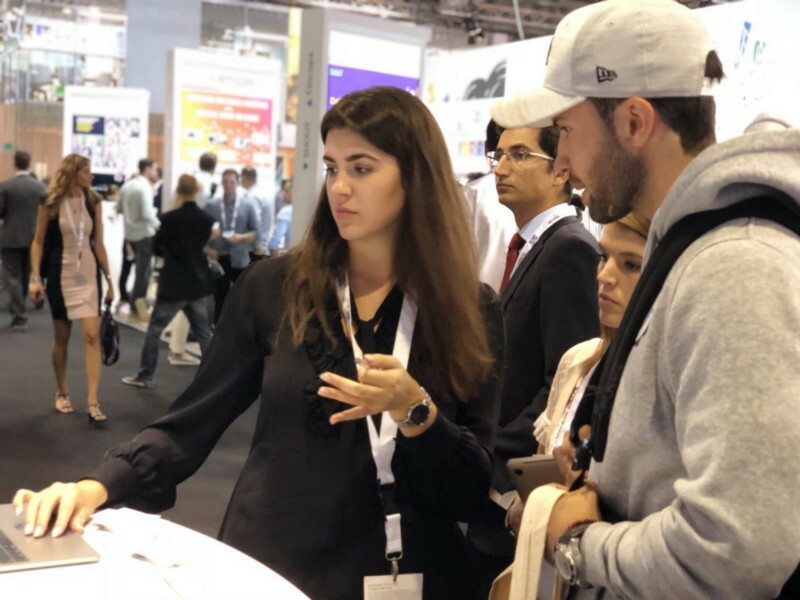 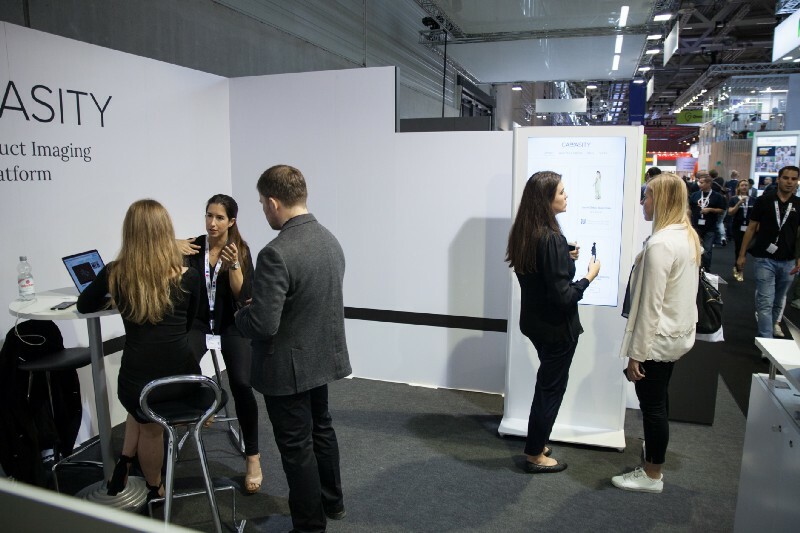 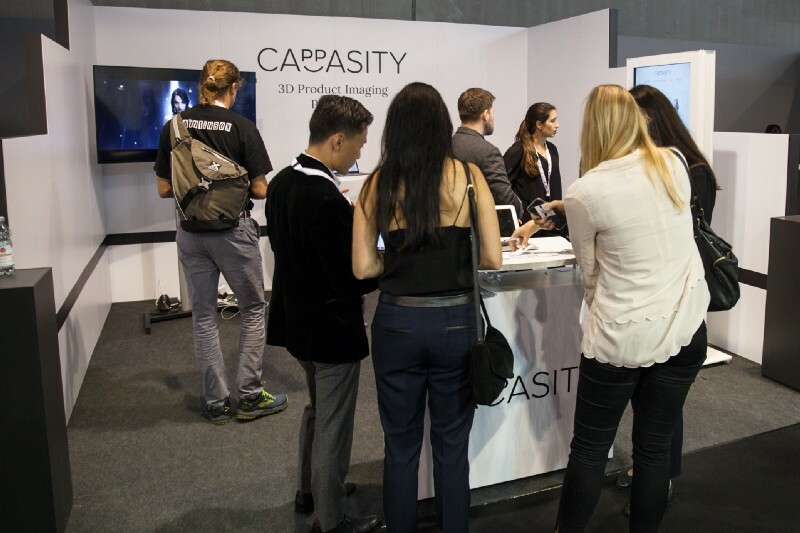 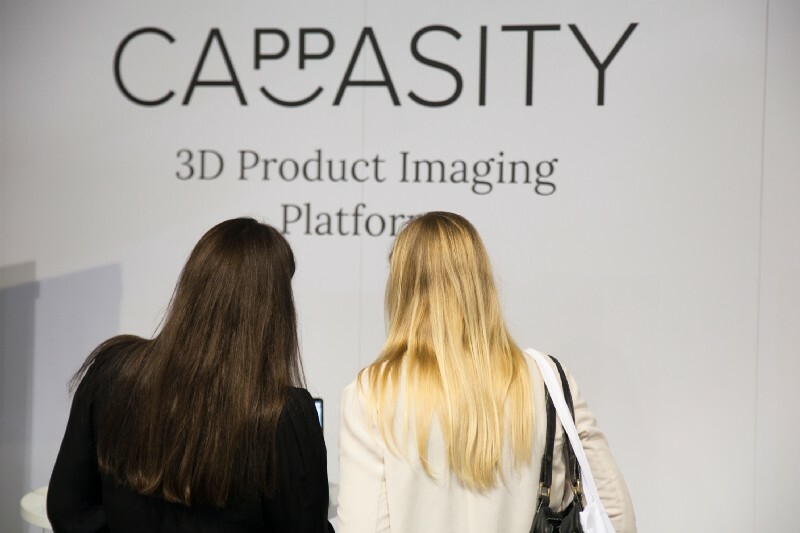 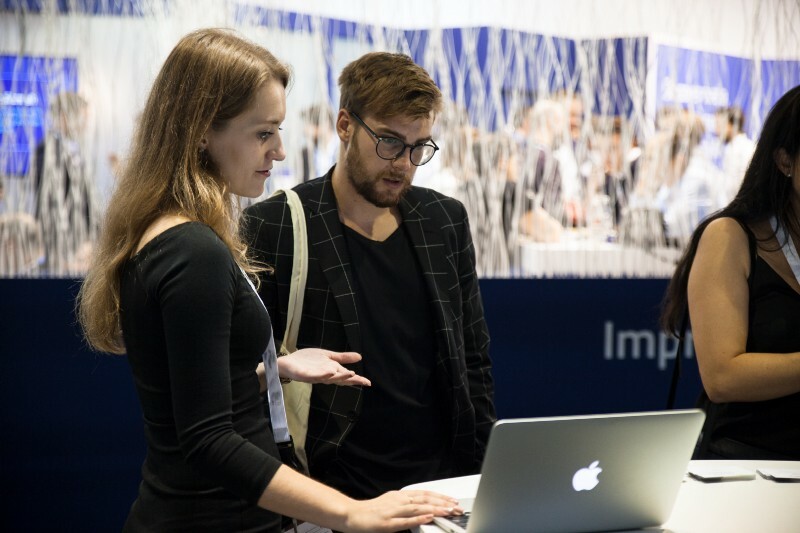 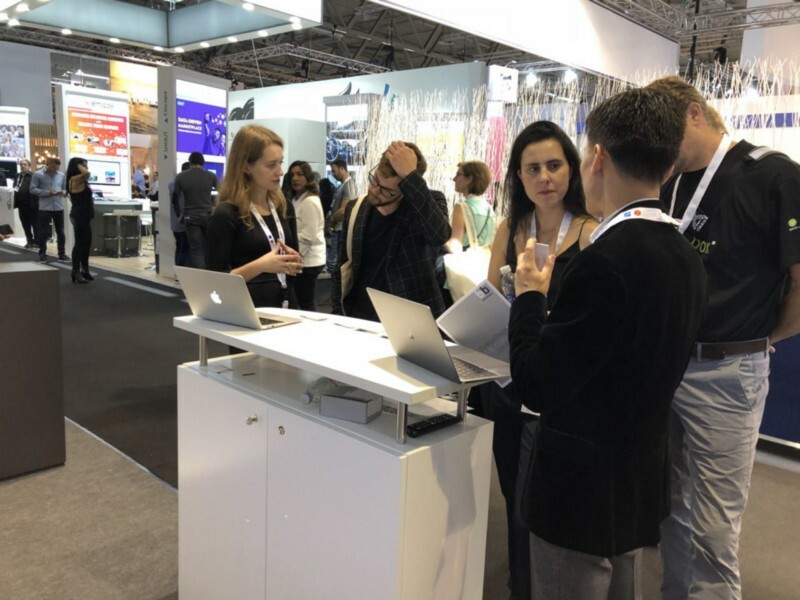 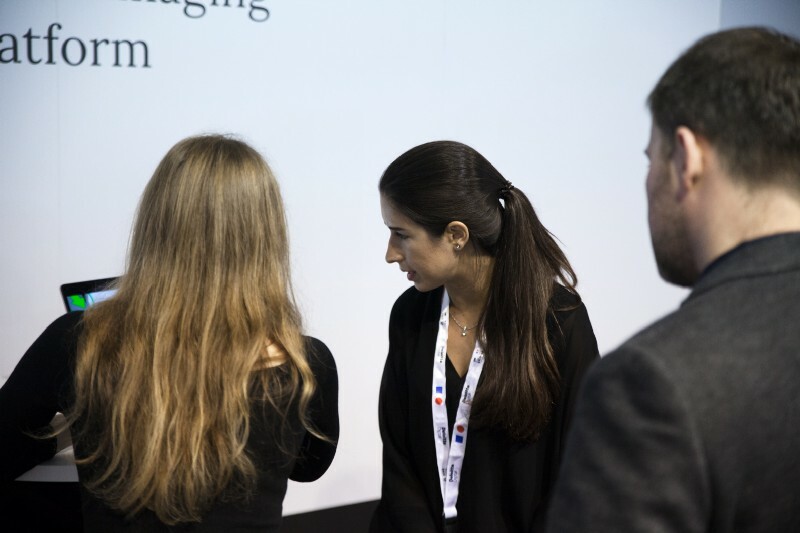 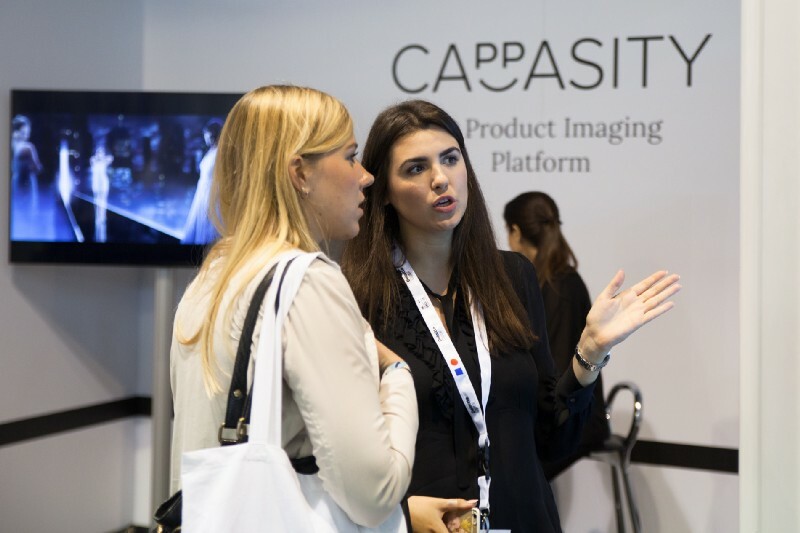 Judging by the reaction of the DMEXCO attendees, the type of data gathered by the Cappasity.AI, new to the market, will undoubtedly garner demand. 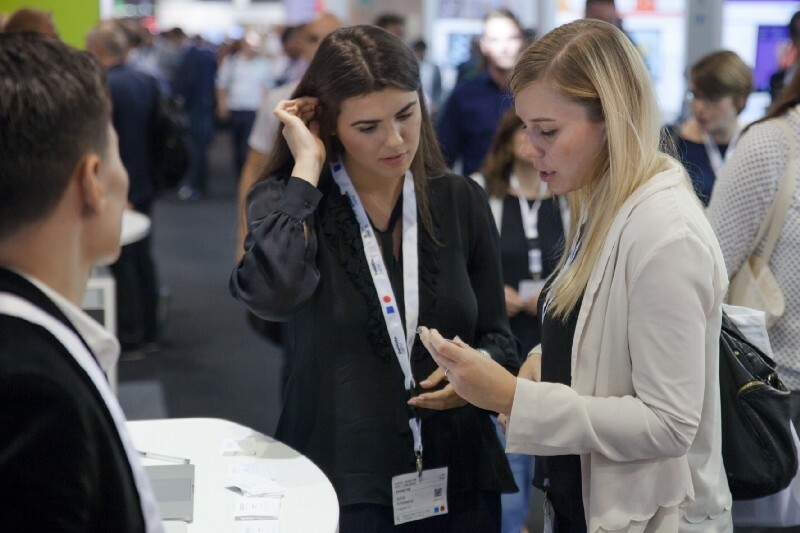 DMEXCO 2018 also became the debut stage for two brand new products. 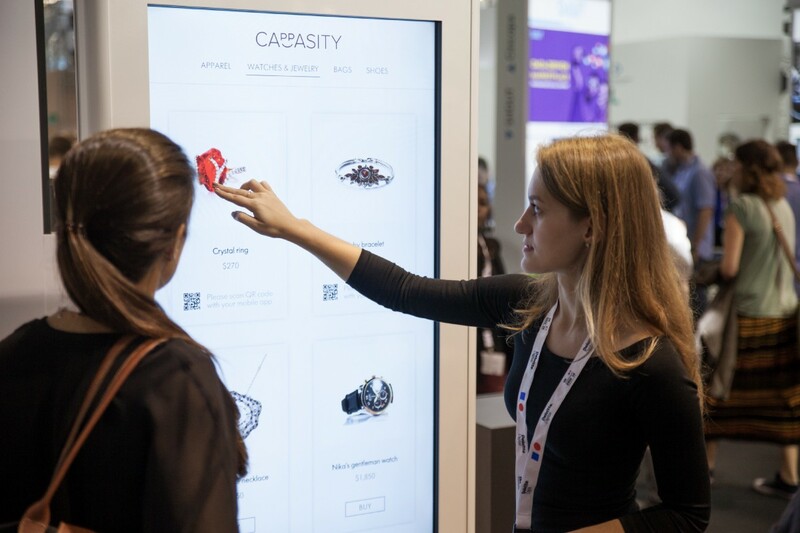 A newfangled 3D product imaging solution for Digital Signage, that will allow customers to interact with goods the way they do it in physical stores, making their shopping experience more interactive. 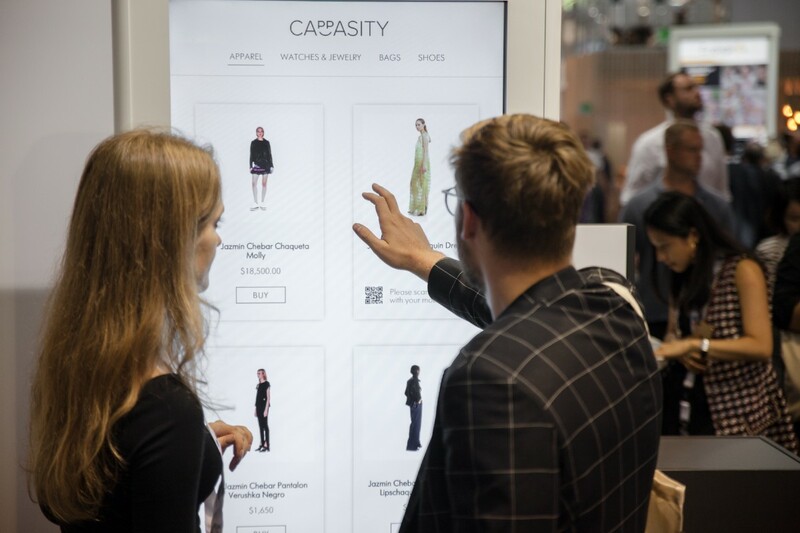 Browsing the goods which are not available at stores, getting a purchase code and ordering home delivery — any scenarios are possible! 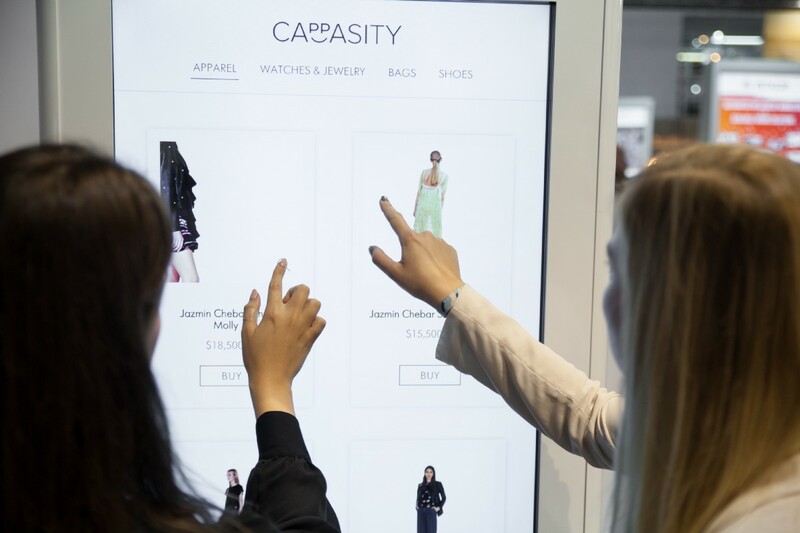 Retailers will be satisfied as well, as they will be able to fuel better customer interactions and omnichannel experiences. 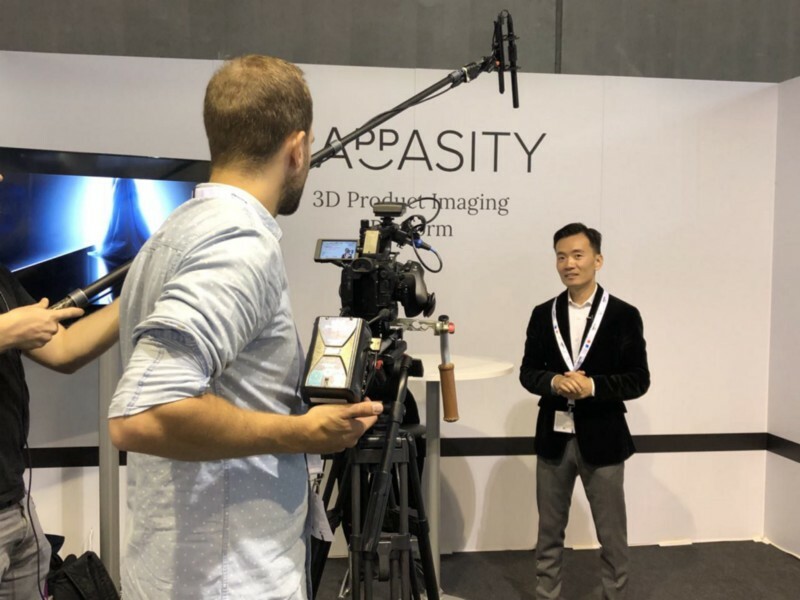 After Cappasity App had been mentioned for the first time in 2017, the Cappasity team spent a year painstakingly researching and developing, perfecting the stabilization algorithms and working with passion and dedication to bring to the customers the best possible result. 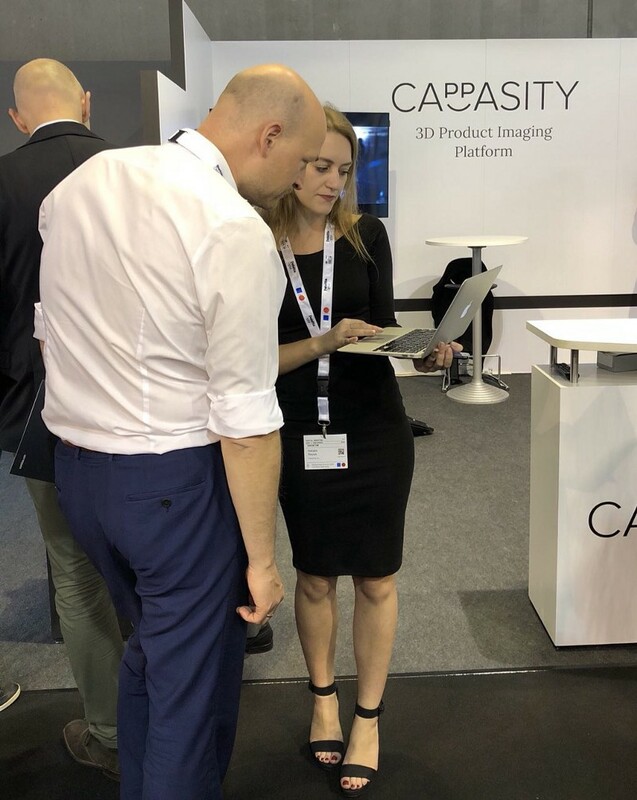 Read the full Cappasity App story and take part in the testing. 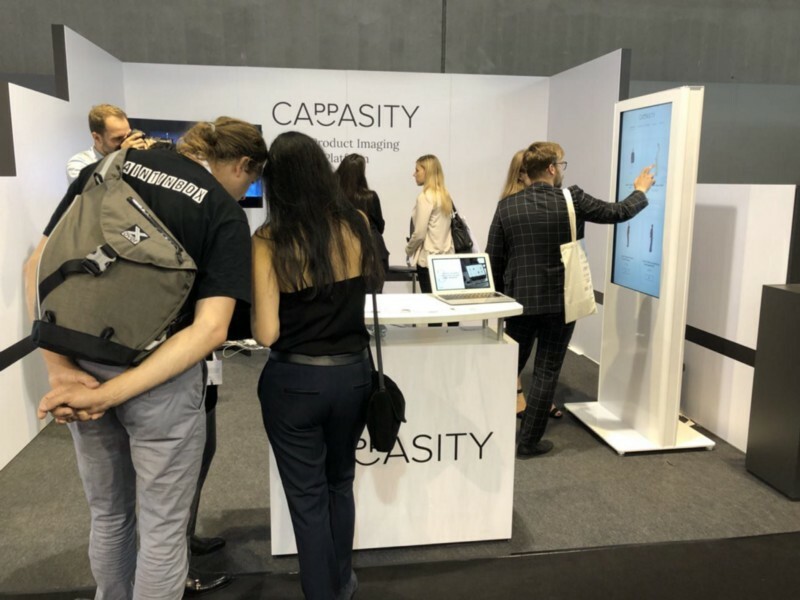 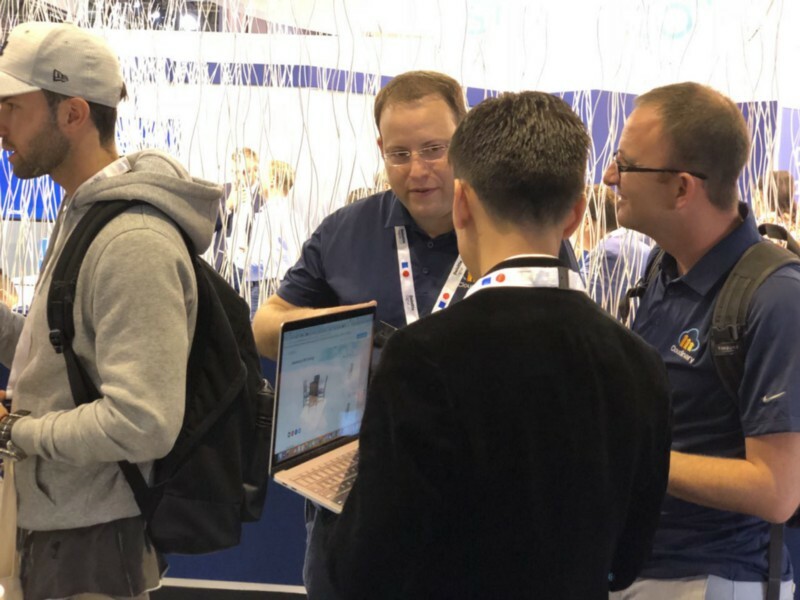 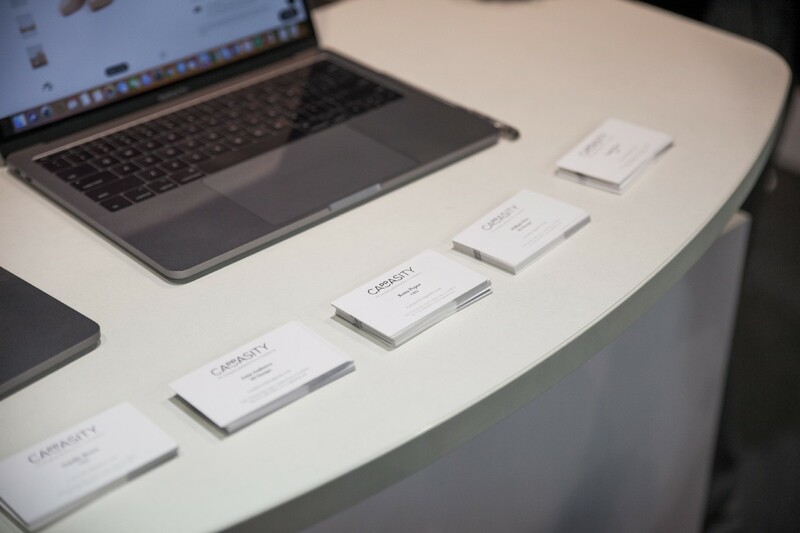 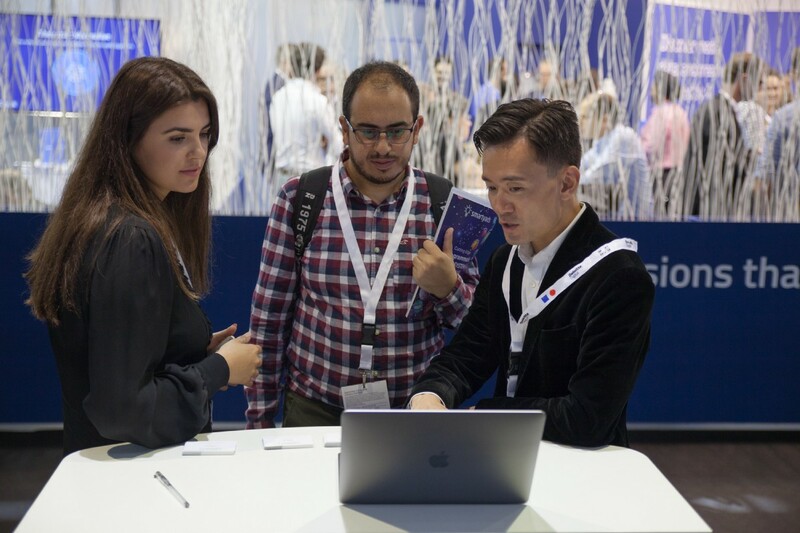 With packs of business cards exchanged and dozens of professional connections made at DMEXCO, Cappasity is now eagerly awaiting the moment to share the information about new clients and partnerships.